The new kvinnherad Gore-Tex Parka is developed to meet the demands of the quality conscious hunter who hunts in a steep and demanding terrain under rough conditions. The uncompromising parka offers outstanding weather protection, great breathability, and silent material all wrapped up in a unique and innovative design. 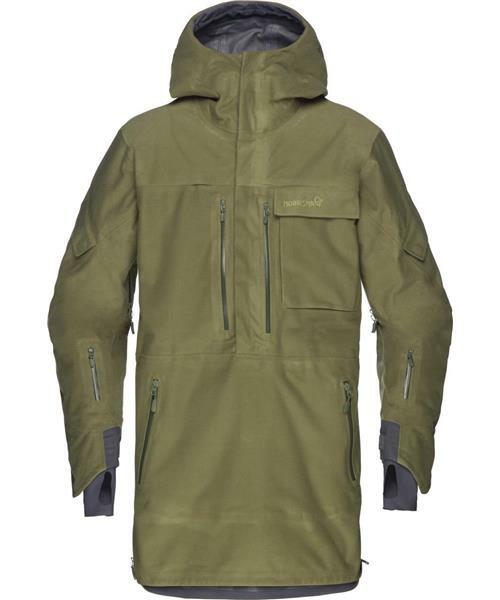 The parka offers functional details such as a storm hood with one hand adjustment, antenna hooks on shoulders and several pocket solutions customized for hunting: hand warming pockets, Napoleon pockets, overarm pockets for ammunition, lower arm pockets with integrated lens wipes and radio pockets on both sides. The underarm zipper runs from the bottom hem and all the way to your elbows to offer optimal ventilation options. We have also made a hidden pocket on the inside of the lower back with room for a seat pad for long waits and lunch breaks. The asymmetrical cuffs cover the back of your hand but allows a direct grip on the pistol grip and front stock without interfering fabric. The GoreTex membrane has a brushed knitted face and a brushed backer.